Maximizing Your Potential: Brain-based Books for Each Style. 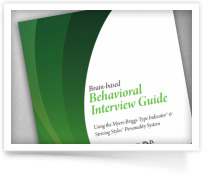 Deepen your understanding of your Personality Type/Striving Style with our series of books. The information in each series of books provides powerful insight into how each of the types behaves and gets their emotional needs met. 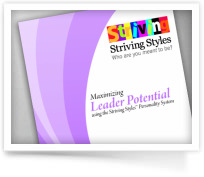 You will learn the unique ways in which your Personality Type/Striving Style gets its predominant need met in the various situations and the need dissatisfiers that get in the way of fulfilling your potential. It will help you to understand the elements of work, career, relationships and life that are most intrinsically satisfying versus those that are more likely to frustrate your predominant need and are therefore dissatisfying for you. With this information, you can make choices that are most likely to support you achieving your potential. 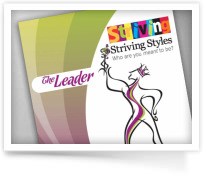 Discover what drives the behaviour of leaders with this comprehensive resource on each of the 8 innate leadership styles based on the Striving Styles Personality System. The information in this report will help deepen your understanding of the leadership style of each Striving Style, as well as how to help leaders to self-actualize and achieve their full potential. It is an invaluable resource for anyone involved in selecting, managing, coaching or developing leaders. 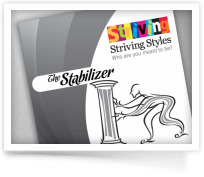 Our Career Style Report offers powerful insight into the type of career your Personality Type/Striving Style is best suited to based on the predominant need of each of the Styles. It shows the elements of work that are most intrinsically satisfying versus those that are more likely to frustrate your predominant need and are therefore dissatisfying for you. The information provided in this book will help you understand the need satisfiers and dissatisfiers of your Personality Type or Striving Style to ensure the career, job and the organization will meet your needs. It also provides tips for interviewing. With this information, you can make choices that are most likely to move you in the direction of the career and future you desire.